I want you to learn two chords every day, starting today until the last day of the season (December 20). You have your choice between the guitar and the piano (keyboard), or both. If you're a beginner, I'll show you relatively simple ways to play each chord. If you're more advanced, you'll have the entire fretboard and/or keyboard to explore – I'll provide the maps. We'll begin with D minor (Dm). Why Dm? To get through 98 chords (yes, 98 chords! ), we will have to progress through the keys in a way that makes some sense. I usually start these multi-week cycles with the key of C major, and end with the key of F major several weeks later, but there are overlapping chords between these two keys, so let's start with the Dm chord. For beginning guitarists, place your index finger on the high E string, just behind the 1st fret. Place your middle finger on the G string, just behind the 2nd fret. Place your ring finger on the B string, just behind the 3rd fret. Strum the open D string and the strings you've fretted. That's the Dm chord. 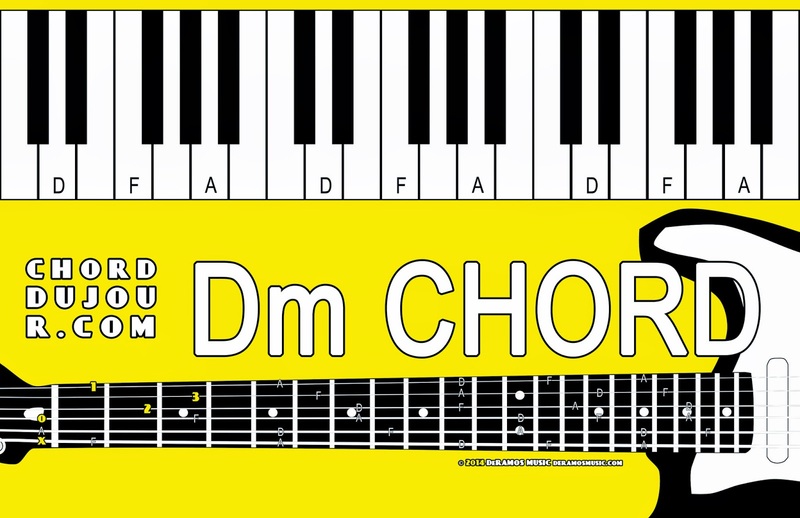 For beginning keyboardists, the D, F, and A notes create a complete Dm chord. Use the fingers that feel most comfortable. Usually, it's going to be your thumb, middle, and little fingers, for either hand, but the index and ring fingers might work for you. 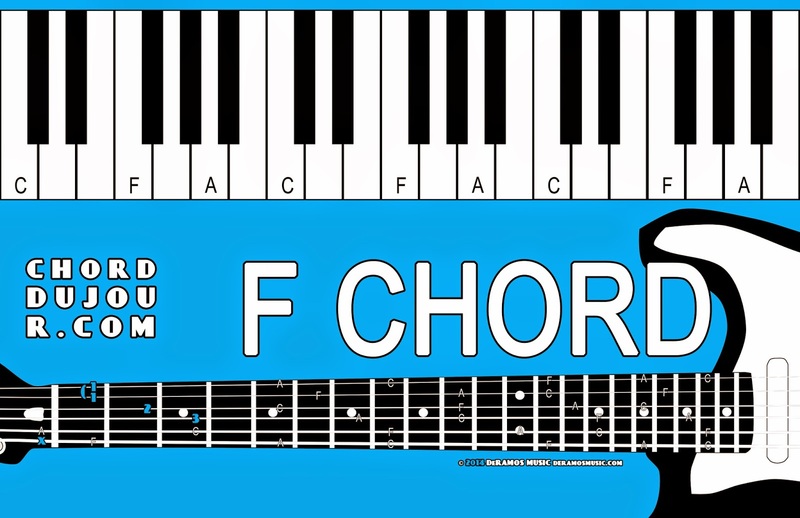 Now that you've learned the Dm chord, let's try the F major chord (F). For beginning guitarists, the F chord is probably the most difficult chord to fret because the simplest voicing contains no open strings, and you might have to press hard with your fingers. Your fingers will be sore, but they'll get stronger, if you keep at it! For beginning guitarists, bar your index finger on the B and E strings, just behind the 1st fret. That's the hard part. Place your middle finger on the G string, just behind the 2nd fret. You might notice that your middle finger will be a good pivot point when switching between the F and Dm chords. Place your ring finger on the D string, just behind the 3rd fret. Strum the four strings you've fretted. That's the F chord. For beginning keyboardists, play the F, A, and C notes create a complete F chord. Use the fingers that feel most comfortable. Usually, it's going to be your thumb, middle, and little fingers, for either hand, but the index and ring fingers might work for you. We'll continue tomorrow, with two more chords. 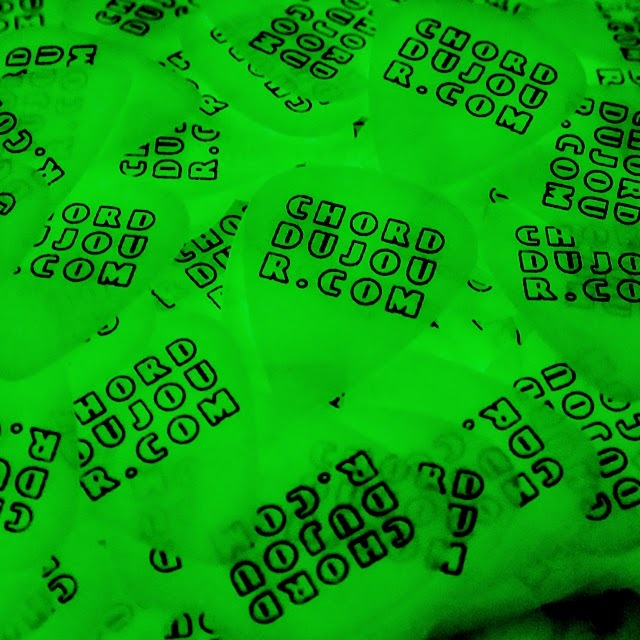 As we move forward, I will write less and let these chord maps speak for themselves. Cheers!